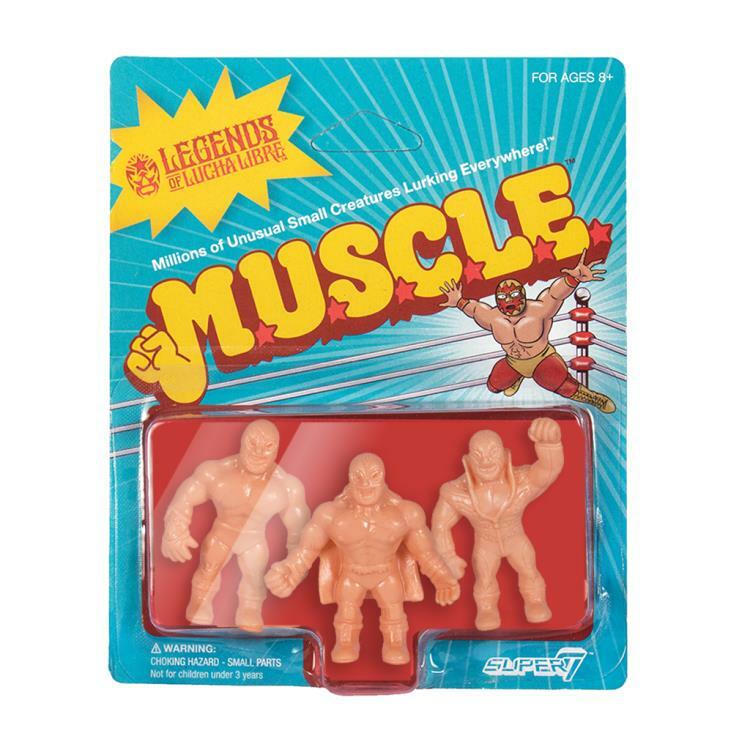 Super7 brings MUSCLE Figures back full circle to its wrestling roots with the Legends of Lucha Libre! 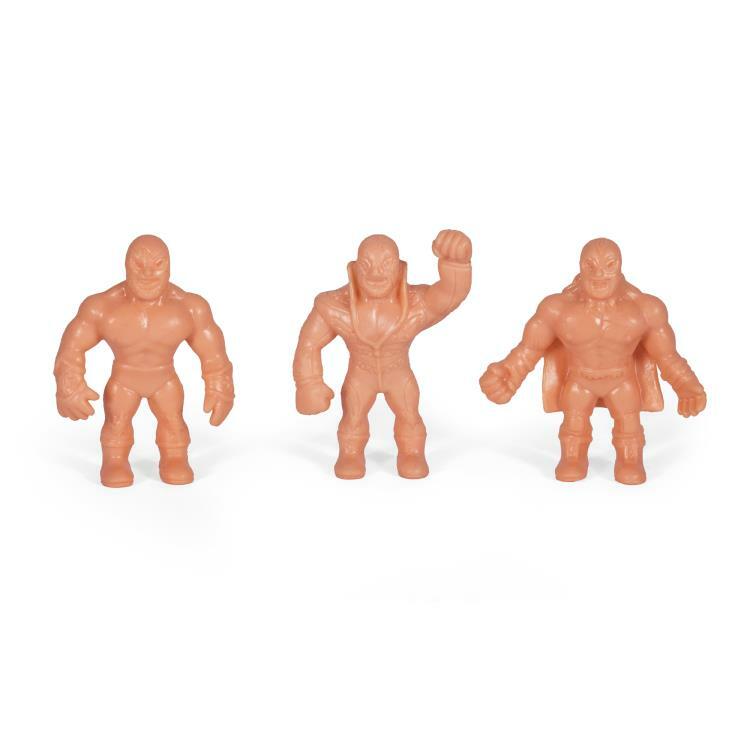 Mexican wrestling dates back to the 1800's and Luchadores are some of the most recognizable sports folk heroes in the world. 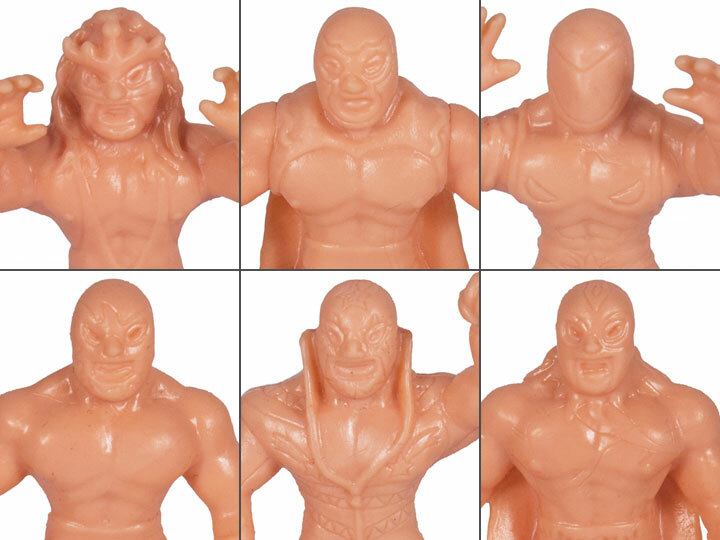 Super7 has officially licensed some of today's current favorite Luchadores so they can go anywhere with you now! 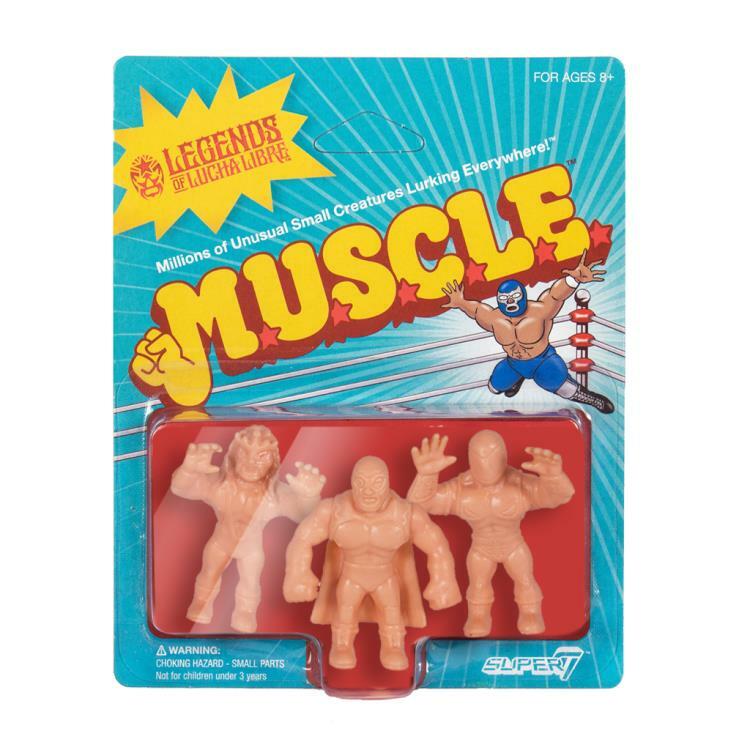 The Legends of Lucha Libre 1.75-inch MUSCLE assortment comes in two 3-Packs and features Blue Demon Jr., Solar, Super Astro, Tinieblas Jr., Konnan and Juventud Guerrera.